The newest Kirby covered comic to go on sale MIGHT have been his 10th, 11th 12th, 13th, 14th or 15th for 1945. 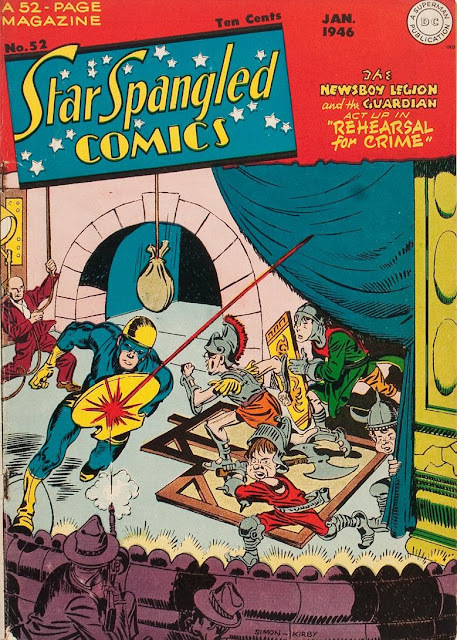 It depends on whether you believe Jack Kirby or Curt Swan drew the covers for STAR SPANGLED #43, 48, 49 and 51. It depends on whether you believe Kirby or Cazeneuve drew the cover for BOY COMMANDOS #11.